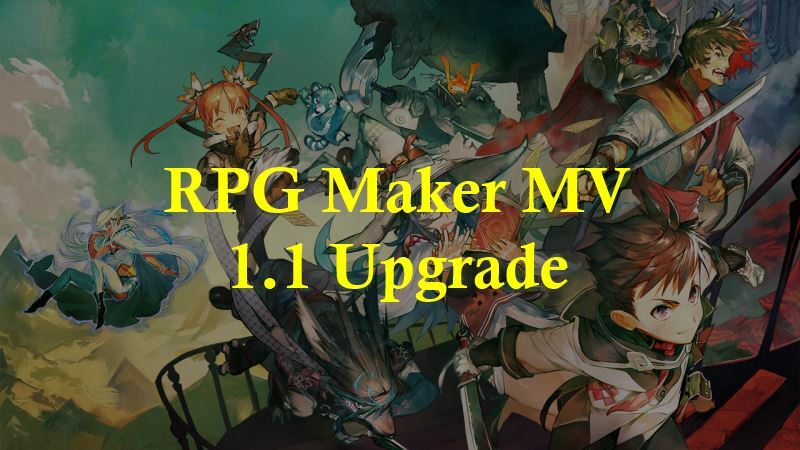 A new version of RPG Maker MV has been released. You can read the official announcements on the RMW forums or on Steam, depending on which one you use. Developers that are using Steam will have the files automatically installed, while those using the offline version will need to download a version updater and manually install it. Check the forum thread for links. To enjoy the new editor changes, simply open the new editor and you should be able to use them. Alternatively, you can go to the program’s folder, go to the New Data folder, and grab the JS files from there. Changes to the generator may cause problems if you have added new files to the generator. Specifically, it will replace files that have the same name, or it may conflict with some of your generator parts. Here is a list of changes that have been made. Fixed Paste Last Bug in the Animation Editor. Fixed Canvas Mode: Change Parallax Bug. Fixed Faceset Distortion when changing resolution. Fixed Battle Crash when the Damage Formula Box is empty. Fixed Movement Route changes are saved even when cancelled. Fixed an issue that caused: If you have any changes in Plugin Manager and directly close the windows in the title bar (not by Cancel/Esc), the changes will be committed. Fixed Pixi Add/Multiply/Screen commands in WebGL mode! Fixed the position of index in ImageSelector. Fixed Autotiles don’t function the same as RMVXAce. Implemented Onion Skin in Animation Editor. Re-implemented RPG Maker 2003’s Class change option: Keep Level feature. Implemented Message Box and Plugin Parameters IconSet Viewer. Let’s take a look at some of the new features! The long-awaited “Are you sure you want to cancel?” confirmation has finally been added to the editor. Previously, when you deploy a project, everything that’s in your resource folders will be included, even if they’re not used. With the new update, you can now choose to exclude unused resources, which should help lower the filesize if you didn’t want to manually remove them yourself! A new “Plugin Help” feature that allows you to quickly look up your plugins’ help descriptions when you’re in the database or the map property editor. Just press F1 while you’re in those screens to bring it up. For those that require class changing in the game, you might remember there was an issue where you couldn’t keep the actor’s level upon changing classes. Messages and plugin parameters have a little upgrade for those that find themselves closing everything just to look up the icon index. Right-click in the text area to see the new option. For the scripters, MV now uses pixi 2.2.10. Maybe we’ll get to 3.0.10 at some point! I do not offer links to cracks. Great article! I love hearing about the new changes in the update! I do have a question though (that may sound stupid). What is Gachabook, Gacha and NovelMessage? Is it a new way to display text? Gacha(pon) is that lottery-type machine where you insert a coin and a capsule drops out with a little item inside. Gachabook is just a list of all of the items you received from it. NovelMessage I’m not sure since I don’t see a demo.